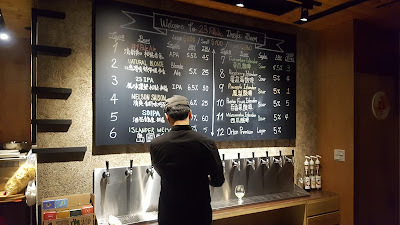 Bringing American brewing methods to Taiwan, 23 Brewing, broke new ground in Taiwan's beer scene as one of the first local beer producers of bitter North American style craft beer. 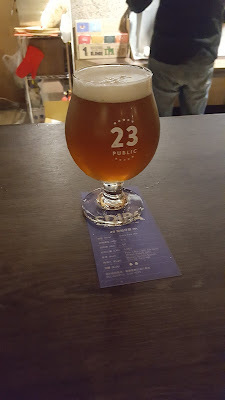 23 brewing has long been a front-runner among the independent brewers in Taipei, and in order to showcase their excellent products, they have opened a friendly and comfortable bar. 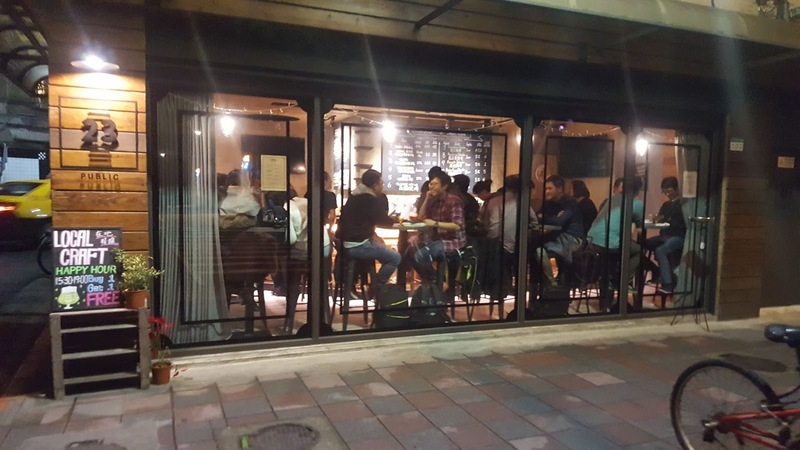 23 Public is located on Xinhai road, directly between the Shida and Taida university neighborhoods, in a perfect spot to draw in thirsty students. The brew-house is well designed with natural elements of wood and stone. 23 Public may seem like a fairly small bar but a rear stairwell to the reads gives way to a large basement floor, perfect for hosting events or watching international sporting events. While the delectable beer may have you wishing that 23 Public had 23 taps of beer, they have a respectable selection poured on 12 taps, with a hand-pump tap available on "Real Ale Fridays". 23 public stocks a strong lineup of their own pale ales, IPAs, stouts and sours, complemented by Orion draft and a rotating lineup of guest taps. A small selection of tasty food and bar snacks are also available to pair with your pints. 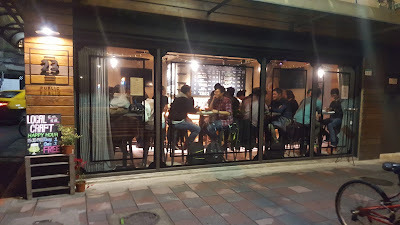 23 Public is a testament to the recent success of Taiwan's craft beer scene. The mere fact that several passionate home brewers were able establish a successful brewery and subsequent bar in just a few years speaks volumes about Taipei's thirst for craft beer. 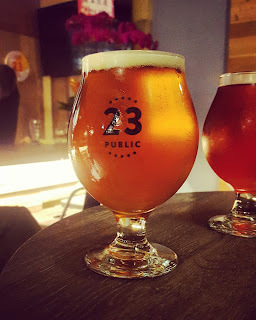 With great beer and friendly service, 23 Public does well to satisfy that thirst.